Ordering spare parts has never been easier! FRAMECAD has released a new feature inside MyFRAMECAD to help FRAMECAD customers to order spare parts. This means you no longer have to go through FRAMECAD Care. 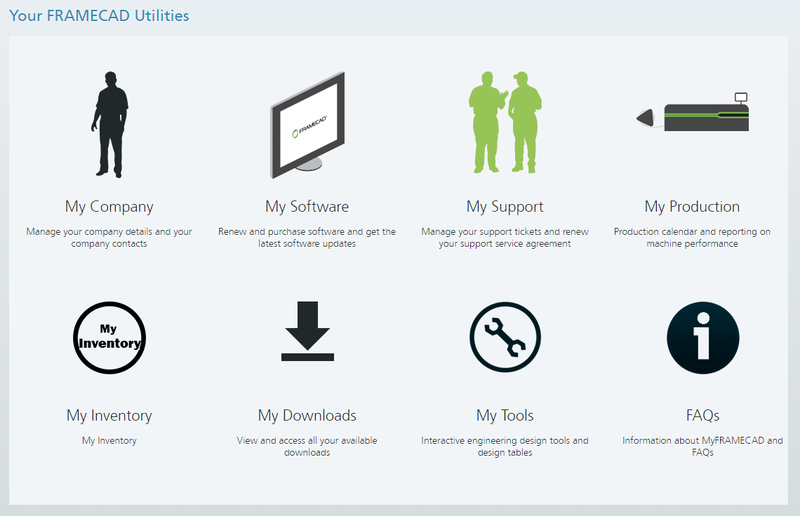 Simply Login to your MyFRAMECAD - go to the 'your FRAMECAD utilities' section and select 'My Support' section. Your quote request will be sent directly to your regional FRAMECAD aftersales team who will be in touch with you very shortly with the specific quote. If you are a FRAMECAD customer, try it today!